Jimmy Wright, an NGA board member and single store operator of Opelika, Ala.-based Wright’s Market, recently testified on behalf of NGA before the full Senate Agriculture Committee in a hearing titled “Nutrition Programs: Perspectives for the 2018 Farm Bill.” With the 2014 Farm Bill set to expire in 2018, the committee scheduled a series of hearings to learn more about what’s most important to stakeholders for reauthorization. During the hearing, he spoke about recently being one of ten retailers – out of hundreds of applications – to be selected for the launch of the SNAP Online Purchasing Pilot. The 2014 Farm Bill mandated a pilot be conducted to test and determine the best way for food retailers to accept SNAP benefits through online transactions, but the pilot has been held up for years. Over the past year, Wright’s Market had a successful year implementing an online ordering and home-delivery service called “Wright 2 U.” The supermarket plans to use the online technology to build on this program and offer rural customers, including many who reside in food deserts, the ability to order online using their SNAP benefits and have access to the store’s entire inventory of over 12,000 items, including a full variety of fresh meat and produce. 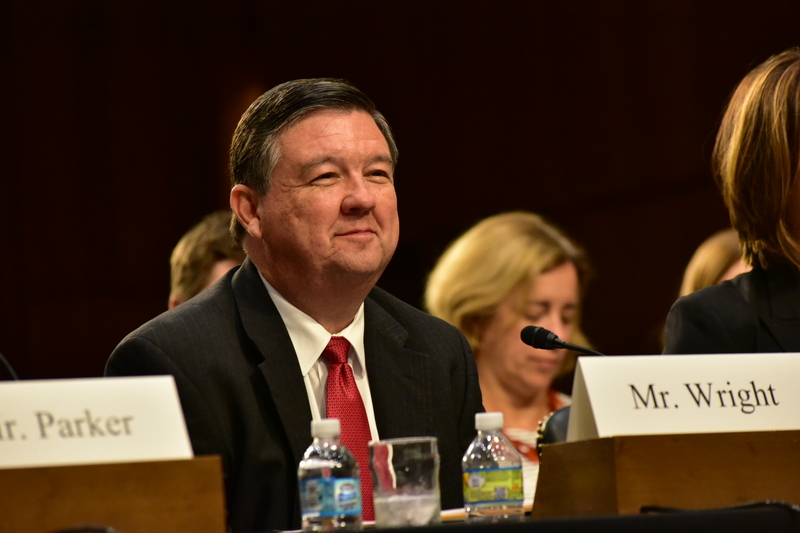 While food retailers continue to expand on ways to serve SNAP customers, Wright urged the committee to reject any proposals that restrict what foods SNAP participants can purchase with their benefit. Wright explained that the cost to the retailer and the inevitable stigma created for SNAP customers would likely cause many food retailers to drop out of the SNAP program entirely. Wright also asked Senators to create a more streamlined and efficient SNAP license application program for existing retailers in good standing, while also giving extra attention to stores opening in food deserts. To watch a recording of the hearing, click HERE.